The Medi Wrist Brace is the ideal product for wrist sprains and strains, post-operative rehabilitation, carpal tunnel syndrome, arthritis, tendonitis, and chronically weak wrists. Aluminum stay provides support, control and stabilization. Brace allows for full use of fingers. Available in five sizes - See our sizing chart tab for measurement instructions. 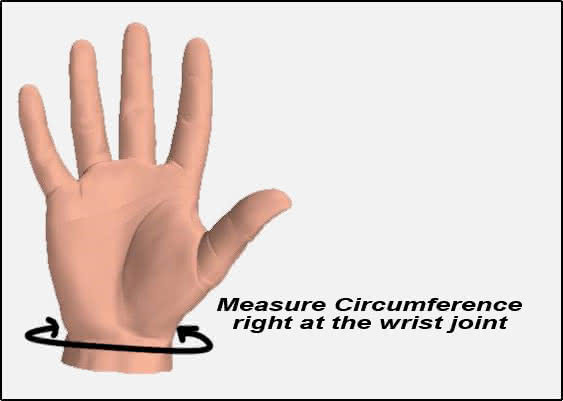 Sizing Chart: Measure wrist circumference in inches. Order arrived in two days. Very pleased. My mother is using this wrist brace for her arthritic wrists. I bought two for both wrists and she says they are helping her pain. The brace does a good a job supporting my wrist and the velcro straps tighten easily.